Taxpayers with offshore accounts that they have not reported to the U.S. government are skating on thin ice, according to a tax attorney. Ivan Golden, a lawyer with Schiff Harden LLP, said that the leaked Panama Papers show that individuals not reporting offshore accounts can have dire consequences. “They’re at serious risk of discovery and should carefully consider disclosing their accounts before it’s too late,” Golden told Accounting Today. Golden said while there were few Americans named in the Panama Papers, documents leaked from a Panama law firm that show how the rich and corrupt hide assets, but that most experts believe the leaked papers are just the tip of the iceberg. He said additional information on “secret” offshore accounts is certain to follow. He reminded tax preparers of the approaching Foreign Bank and Financial Accounts filing deadline of June 30. Golden stressed those preparers who knowingly do not include foreign financial information on a client’s return run the risk of criminal penalties for withholding that information and filing a false return. Individuals with willful violations can face penalties of more than $100,000 or the total in the offshore account, Golden said. Penalties add up and each year of noncompliance is subject to additional penalties. Golden noted that the Internal Revenue Service has an Offshore Voluntary Disclosure Program that may entitle taxpayers to lesser penalties when coming forward to report. “Taxpayers are almost always going to get better treatment if they come forward voluntarily as opposed to having their accounts discovered by the government,” Golden said. 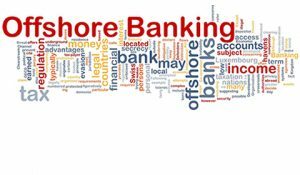 Although the IRS’ Offshore Disclosure Program is not as forgiving as it was when first established in 2009, terms are still favorable for voluntary disclosure, according to Golden. “The bad news is that the IRS has hinted that taxpayers’ ability to disclose offshore accounts while paying relatively modest penalties may not last forever,” Golden said. “It’s interesting that over time the terms of the OVDP have gotten less favorable. They had a six-year look-back and a 20 percent penalty based on the aggregate high value of the offshore account. Golden noted that for less egregious offenses, the IRS offers streamlined procedures where individuals file three years of delinquent returns and six years of Foreign Bank and Financial Accounts paperwork, with a miscellaneous penalty of no more than 5 percent of the highest aggregate balance of the offshore account.